While Toyota trucks meet or exceed their competitors when it comes to active safety, interior amenities, and performance figures, what really makes them stand apart from the competition is their dependability. 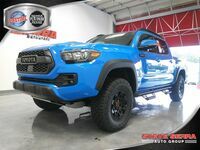 Perhaps most important in the pickup truck segment where drivers tend to be rough on their vehicles, a high level of dependability provides confidence that your truck has what it takes to finish the job. It can also lead to a higher resale value when it comes time to sell or trade in. 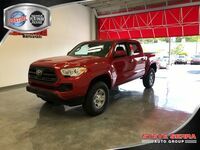 We break down the specs for the two models in the 2019 Toyota truck lineup, the 2019 Toyota Tacoma and the 2019 Toyota Tundra, below. 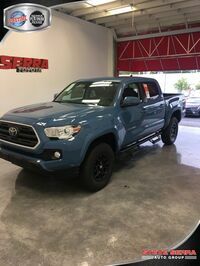 After seeing which Toyota truck is your best fit, browse our online inventory to see if we have the model you have been looking for. 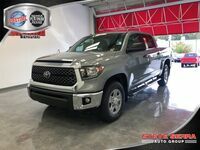 Truck enthusiasts shopping the 2019 Toyota lineup will have the choice between the mid-size 2019 Toyota Tacoma and the full-size 2019 Toyota Tundra. 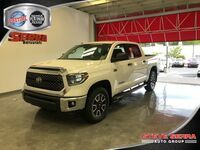 The 2019 Tundra offers a bit more room, a few additional amenities, and larger performance figures, though both models are very competitive in their respective classes. Check out some specs from each of the Toyota truck models below. 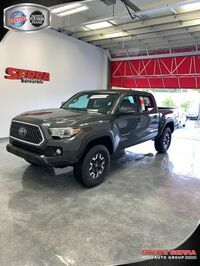 Truck shoppers can find both the 2019 Toyota Tacoma and 2019 Toyota Tundra lineups for purchase or lease at Serra Toyota in Birmingham, AL. Not sure which truck is the best fit for your needs? Schedule a few test drive appointments so you can see what each has to offer up close and personal. Our team is always available to answer questions and discuss pricing and financing options. 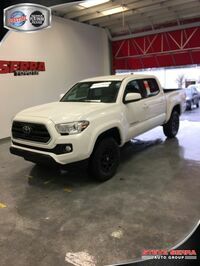 Interested in a 2019 Toyota Truck?